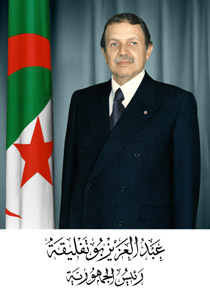 Mr. Abdelaziz BOUTEFLIKA was born on March 02, 1937. He started very early militating for the national cause and joined the ranks of the National Liberation Army (ALN) in 1956 when he was about to obtain his high school graduation. He was entrusted with a two-fold mission of general controller of Wilaya 5 in 1957 and 1958. After being high ranking officer in zones 4 and 7 of the Wilaya 5, he was then transferred to the headquarters (Command Post ) of the aforementioned Wilaya to be named thereafter successively with the Command Post of the military operations command (COM) of the Western region, the Command Post of the regional joint chief of staff for the West, then the Command Post of the national joint chief of staff. In 1960, he was transferred to the southernmost borders of the country to assume the command of the “Mali Front” of which creation was part of the measures aiming at frustrating the colonial power’s plans to divide the country. In 1961, he has made a trip to France clandestinely in order to contact the historical leaders who were detained in Aulnoy. In 1962, he was a member of the Constituent Assembly and became Minister of Youth, Sports and Tourism in the first government of the independent Algeria at the age of 25. In 1963, he was member of the Legislative Assembly and he was appointed during the same year to the post of Foreign Affairs Minister.. In 1964, during the congress of the National Liberation Front (FLN), he was elected member of the Central committee (CC) and of the Political Bureau (PB). Mr. Abdelaziz BOUTEFLIKA has taken part in the revolutionary rectification in the context of which was created the Council of the Revolution of which he was member under the presidency of President Houari BOUMEDIENE. Abdelaziz BOUTEFLIKA was unanimously elected president of the 29th session of the General Assembly of the United Nations. He also chaired the sixth extraordinary session of UNO devoted to energy and the raw materials and of which convening Algeria was one of the countries which militated for. 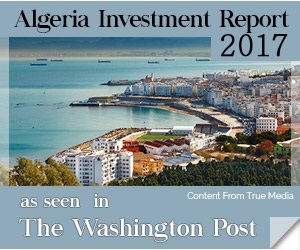 Mr. Abdelaziz BOUTEFLIKA contributed during this same period to the definition of the main trends of the national policy in all the fields, and called within the leading instances for a greater flexibility of the system. At the death of president Houari BOUMEDIENE of whom he was one of the closest companions, Mr. BOUTEFLIKA has expressed the Nation’s deep feelings in his funeral oration which had the greatest effect on millions of Algerians. After 1978, Mr. Bouteflika became the first target of “anti Boumedienneism” and was forced into exile during six years and half. He returned to the country only in January 1987. After the events of October 1988, Mr. BOUTEFLIKA was one of the signatories of the “motion of the 18”. Mr. BOUTEFLIKA who was invited to the extraordinary congress of the FLN in 1989 was elected member of the Central committee of the Party. Sounded out about being appointed to the post of Minister Adviser to the High Council of State (HCE) then to that of Permanent Representative of Algeria to the United Nations, Mr. BOUTEFLIKA declined the offer. He had also declined the offer made to him in 1994 to take over the post of President of the State within the framework of measures and provisions relating to the transitional period. In December 1998, he announced his decision to participate as an independent candidate to the anticipated presidential elections which were held on April 15, 1999.He was elected as President of the Republic on April 15th 1999. He was reelected in 2004, 2009 and succesfully in 2014.